Samsung is definitely going to pay dearly for messing up with the Galaxy Note 7's launch. Last week's official statement confirming the Galaxy Note 7's recall must have been the hardest the smartphone company had to issue in a very long time. Since this isn't just damaging the company's image, many analysts were fast to offer their predictions regarding the costs of such a major recall. Hwang Min-sung, an analyst at Samsung Securities, offered his view on the cost of the Galaxy Note 7's recall and said he expects Samsung to pay $108.5 million, which includes the replacement process. This is the amount that Samsung will have to pay to recall and replace all the Galaxy Note 7 phablets that have already been shipped to customers and retailers. 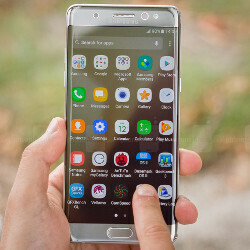 However, the spending doesn't stop here since most of the Galaxy Note 7 devices that will be produced in September will be used for the replacement program. Basically, this means that the Galaxy Note 7 will sell less than previously predicted, so Samsung might end up with just 3 million units sold from 6 million units estimated for Q3 2016. Due to the manufacture of the replacement units and less sales, Samsung's operating profit could be cut by approximately $360 million. Also, in Q4 2016, the recall program is estimated to cost around $270 million, said the analyst. So, to sum it up, Samsung's operating profit might be cut by around $740 million by the end of this year, if we are to believe the numbers estimated by Samsung Securities' analyst. But it will surely regain back confidence from consumers and investors. $735 million is hardly a ten days profit for samsung which it can easily live with. Kudos to the most innocative tech company to take the very right measures and for putting the customers interest at the top. Note 7 will surely bounce back , coz you just cant suppress the greatest smartphone ever made so easily . I believe Note 7 will never bounce back. Samsung will likely to improve it's successor, the Note 8. Exploding batteries is forever tagged in the Note 7 name thus concentration on the new Note. I just cracked my Note 7 screen. Do you think Sammy will still replace my phone? Thank you! Other companies should take the opportunity to take sales from Samsung. they surely will, especially Apple. Sony need to act immediately if they want to gain momentum. Best time for LG to market V20 right! Opportunities like this don't come everyday. and succeed, the note 7 will now have a bad reputation with the world, sammy can ride the galaxy s7 wave though. Actually, it'll have a great reputation, due the the quick action Samsung took. "Quick" action (2 weeks after official launch) that didn't have proper testing in real life situations is by no means something that deserves reputation. It's the least they could've done. Yes, very quick action. No procrastinating, immediately investigated, found the issue and announced full replacement in days. Some companies still haven't taken responsibility for their phone issues even though it's been years. Like apple? true, and that's why they leave a bittersweet feel in this website. But that's not quick, it shouldn't have happened in the first place. i like samsung but they had it coming. iPhone 7 Release is going to drop the hammer on Samsung. Notes and IPhones cater to a different segment. Those who want a Note, will simply wait till they go back on sale and get one. Yep. Wouldn't trade it for any other phone. Nor would I. I'd have to carry two, which I do, and one will be a Note. If they passed a law that you could only own one phone, which would it be? As they sit now, a Note. The S-Pen, and multitasking features would be the deciding factor. Also Samsung cloud, I like that it backs up now. so no Christmas bonus for the executives eh? God that was hard to read! The funny thing is, even after this, Samsung will likely still make a fortune from Android.